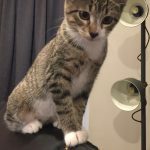 Here are some Photos of Marty(from pet value Trenton) we adopted him October 21. He’s 8lbs, loves to play, even enjoys water ! ... His best friend is a 200lbs St. Bernard/Cane Corso “Dozer” whom he loves to sit and watch the birds and squirrels with. Marty also has two little kids that love him very much ! Thank you for everything you do Darlene, and for letting us give Marty a loving home and Family! Mary and her sister Sybil were found running in the woods as kittens. Mary had sustained. Fractured leg which required surgery to repair. 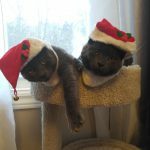 Both now Spayed and recently adopted together! Sybil and her sister Mary were found running in the woods as kittens. 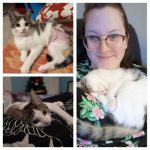 Both now Spayed and recently adopted together! Isabella was born outside with her mother and 12 others. 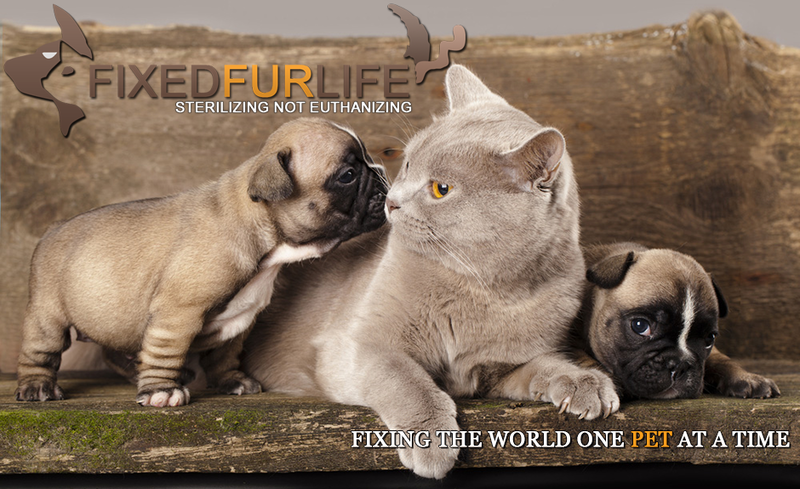 Fixed Fur life stepped into help by taking them in and Spaying all. 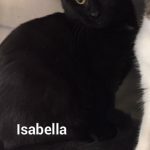 Isabellahas now been adopted! 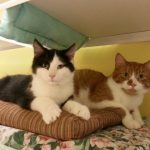 Theodore and Simon were adopted together as wee kittens this past year. We work very hard to keep bonded siblings together and this is why! Mom was a pregnant stray and I hate to think where they would be now if we had not rescued her. Mom was spayed and adopted. All siblings were adopted as well. 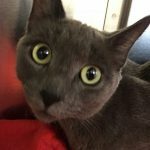 Cathy is a senior girl who is spayed and declawed. Her previous owner put her outside and stated he no longer wanted her. On Admission Cathy was found to have Dental abscesses so severe that she required antibiotics, pain meds and a full mouth extraction. 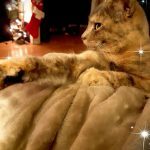 She has now been adopted and is living the pampered indoor life she deserves. 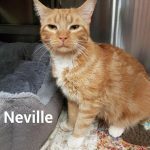 Neville’s owner could no longer care for. A really sweet girl. Treated for an upper respiratory infection. We had her Spayed and Happy to report that she has been adopted. Lucy was abandoned on my front step with her bed. It was a cold night and she had fallen asleep in her bed. She was brought inside and it was apparent that she was used to indoor living. Happy to report she has just gone onto her new home! 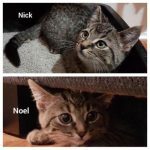 Nick and his sister Noel were found taking refuge under a shed in an area thick with Coyotes. Very friendly and Approximately 12 weeks old. They have been adopted together and will have a home for the holidays! Moe and Oreo came to Fixed Fur Life separately. Moe has been waiting many months for a home. 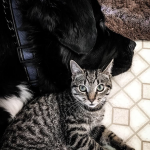 He recently met Oreo and it was love at first Purr. Happy to report we found a home for them together! 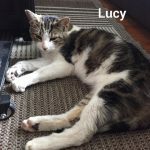 Suzie is a young female who had sustained a fracture to her leg and pelvis. An amputation was required. She recovered nicely and since the surgery has flourished. This little girl is enjoying her new lease on life! She has now been adopted and is shown here enjoying her new home. 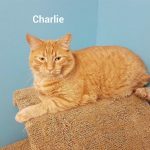 Charlie’s owner could no longer care for so was surrendered to Fixed Fur a Life. This beautiful boy has now been adopted! 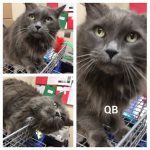 QB - This big beautiful boy’s owner was no longer able to care for. 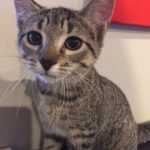 He came to us recently and we were able to find him a wonderful home! Kate, Randal and Kevin were taken in with their mom and siblings.Mom was a pregnant stray. Mom will be Spayed. 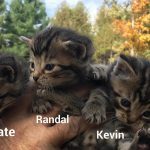 Kate,Randall and Kevin were weaned and have now been adopted! 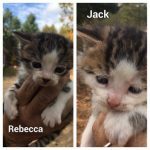 Jack and Rebecca were taken in with their mom and siblings.Mom was a pregnant stray. She will be Spayed. Jack and Rebecca were weaned and have now been adopted! 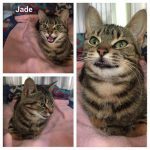 Jade’s owner could no longer care for. We had her Spayed and Happy to say she has now been adopted! 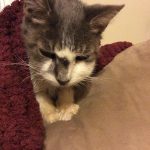 Lilly came to fix Fur a Life from a group of 12 we stepped into rescue from the outdoors. 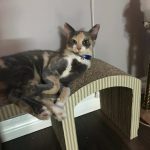 We had her Spayed and she has been adopted with her sister Luna. Arianna enjoying her first Christmas in her new home. Mom had been a pregnant stray. Mom was spayed and adopted. Mom,Arianna and siblings would have been another statistic had we not taken her in. Arianna now living the good life! 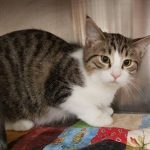 Willow came to Fixed Fur Life with her 3 babies Luana, Rowan and Wyatt as owner could no longer care for. Lo and behold we discovered that she was pregnant again. She then delivered 8 more babies. All have now been adopted. She was then Soayed and has now been adopted. Mayday’s owner could no longer care for. She has now been adopted and shown here settled into her new home!